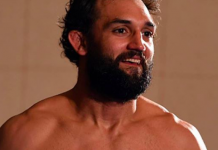 After multiple failed cuts to the welterweight division’s 170-pound limit, former champion Johny Hendricks was sent packing to the 185-pound middleweight division. In his first fight in this new division, he followed an easy weight cut with a competitive but impressive decision win over former Bellator champ Hector Lombard. Things seemed to be looking up. 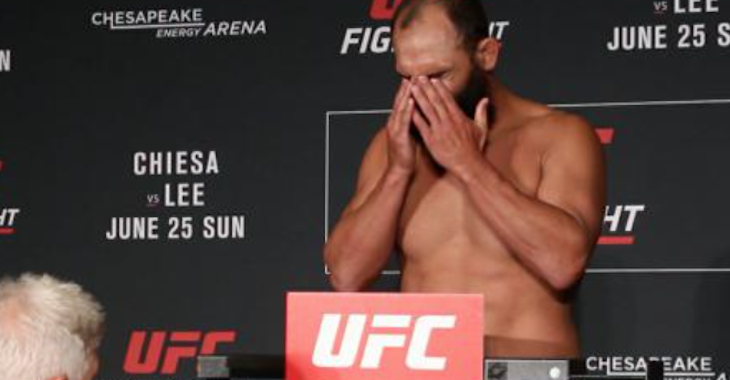 Unfortunately, Johny Hendricks’ second middleweight bout, a Sunday showdown with Tim Boetsch, was much less successful. First, he missed weight for the fight. Then, he was turned off by a second-round head-kick and a swarm of uppercuts. 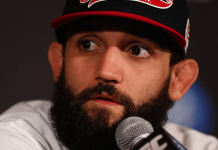 Speaking on a recent episode of Submission Radio, Hendricks explained why he missed weight for this middleweight bout – despite being undersized for the division. Apparently, it all came down to a bout of illness, which he also says affected his performance in the fight. Hendricks then explained how this illness affected him in the fight. 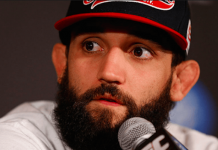 Do you think this is a fair excuse from Johny Hendricks? This article first appeared on BJPenn.com on 6/29/2017.